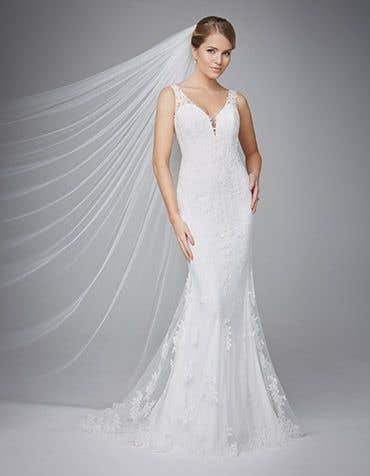 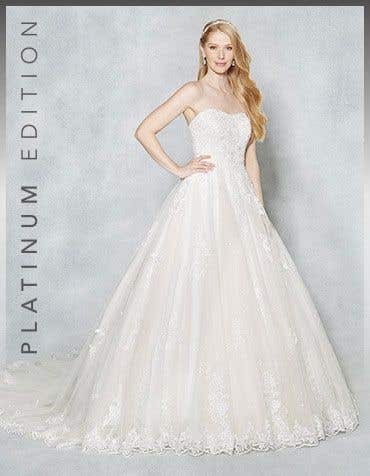 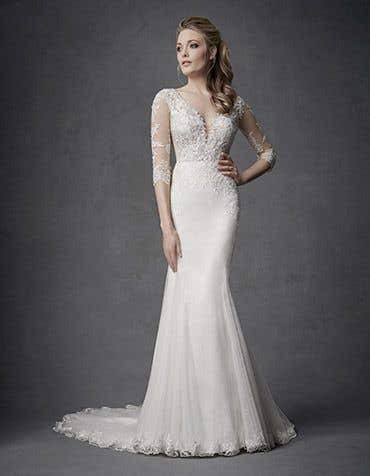 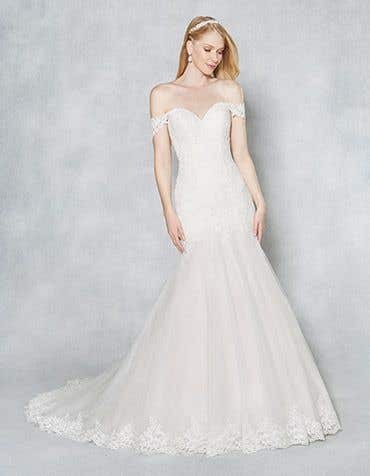 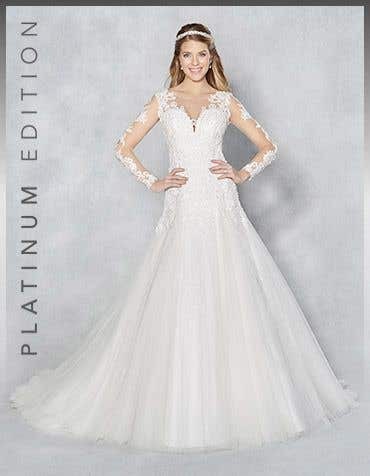 Fine and delicate, wedding dresses with tulle feature the extremely popular illusion panels with lace applique, a top bridal trend. 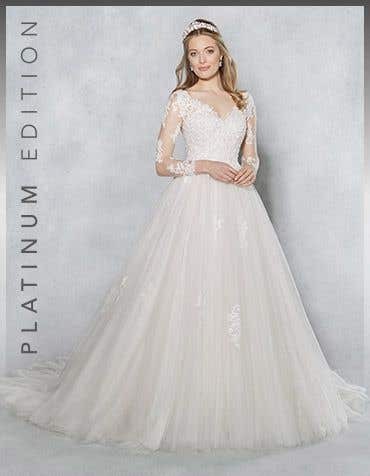 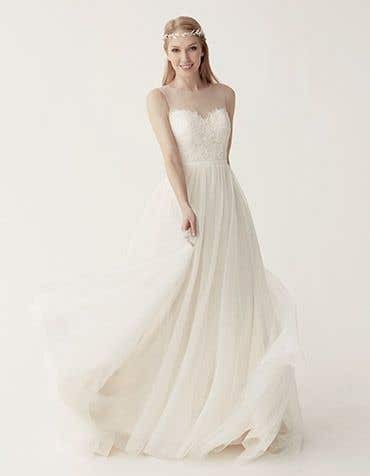 Our collection of tulle wedding dresses are incredibly versatile, this fabric has a soft and light feel and is used on a range of silhouettes. 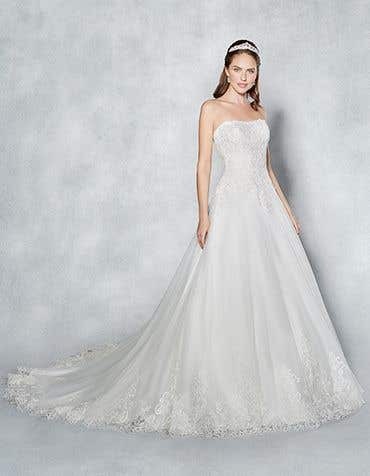 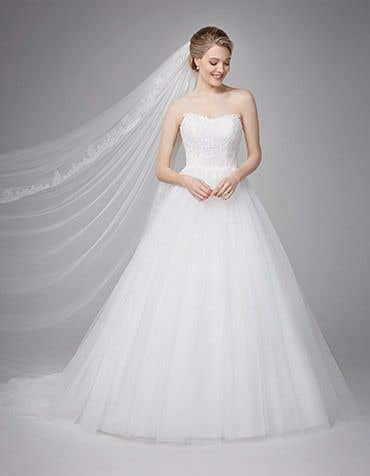 Choose from a variety of styles in tulle, from, flattering fishtails to beautiful ball gowns. 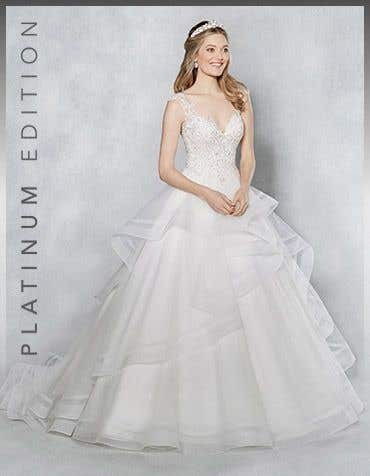 You'll find a style that suits you when you visit one of our stores nationwide and speak with our bridal experts.  We're open 7 days a week and there's no need to book an appointment, just pop in at your convenience.